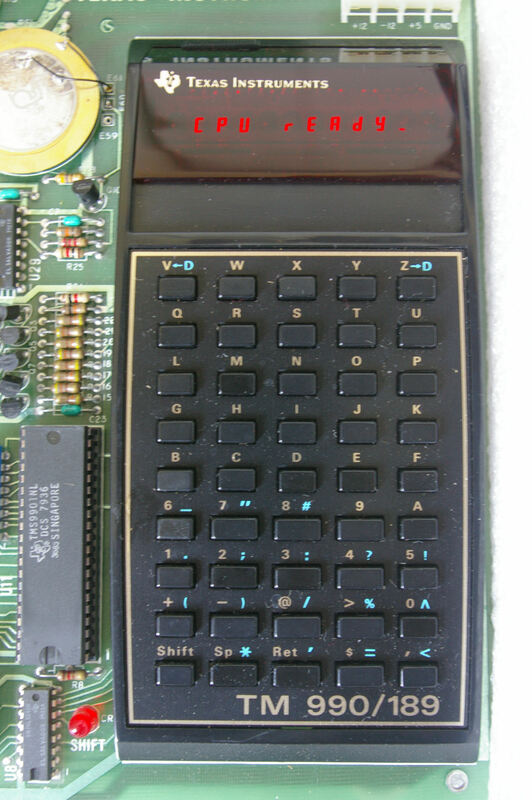 Yet another 80's portable, this time from Sharp Electronics. 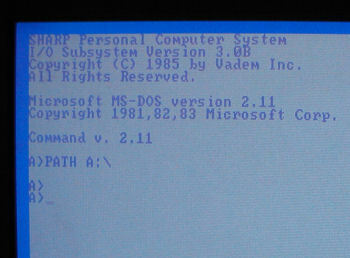 The blue back-lit LCD screen is still crisp, and the original DOS was 2.11. 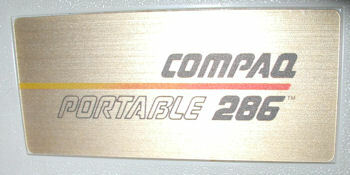 The Compaq Portable 286 is one of the rarest Compaq portables, very few were made with "Compaq Portable 286" nameplate. Senator Mark Kirk (R-IL) holding a Tandy PC-5 handheld computer. 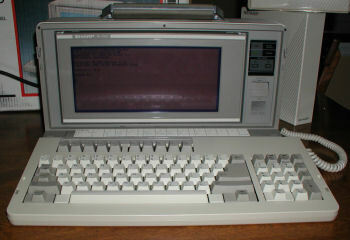 IBM 5140 laptop displaying the 1986 Hacker Manifesto in the background. 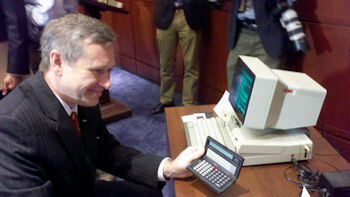 The new legislation is sponsored by Senators Kirk and Wyden (D-OR). 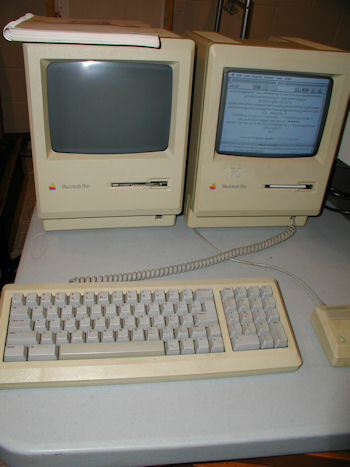 A pair of 1986 Macintosh Plus computers, both working. 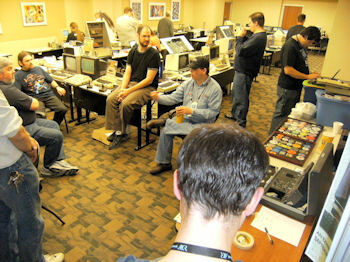 A few of the exhibitors talk shop during off-hours. 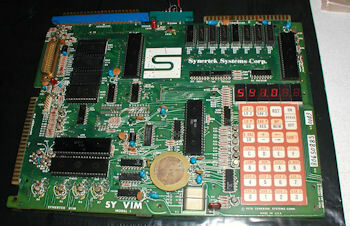 The Synertek VIM-1 single board computer from 1978 was engineered around the 6502 processor and was very similar to the MOS/Commodore KIM-1. 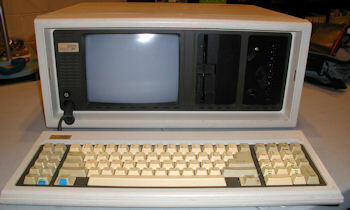 Later versions of the VIM-1 were renamed SYM-1 at some point early in production, making the VIM-1 rare, but also more likely to be "buggy". 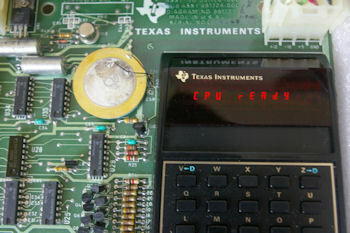 Note the message "SY1.0" that appears in the display. 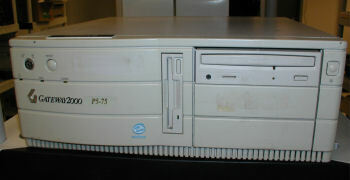 A very early home desktop personal computer (not a server) with a Pentium 75 processor, the Gateway 2000 P5-75. 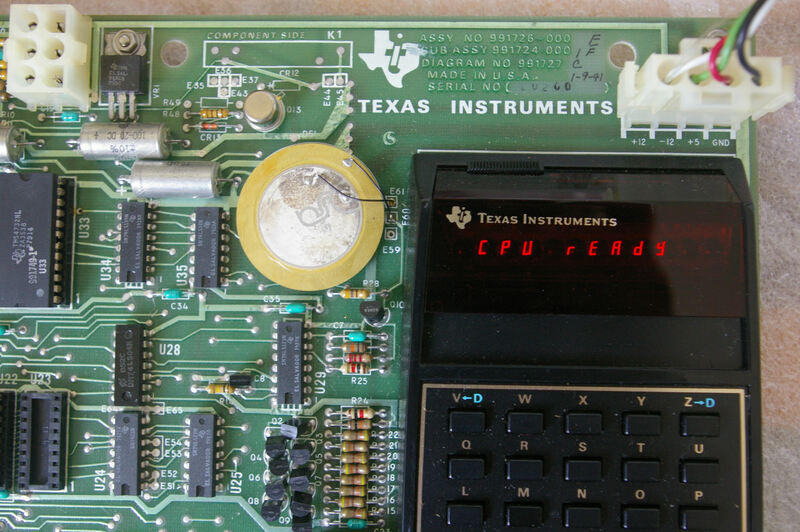 Here is a closeup of the Texas Instruments TM990/189 single board computer display sold by TI in the late 70's and early 80's. Click image for larger version. 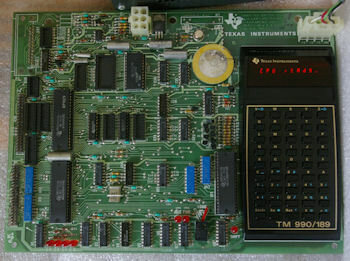 This system is unique due to its calculator-type input panel and display. I was able to write and run a short program to add two hex numbers successfully. 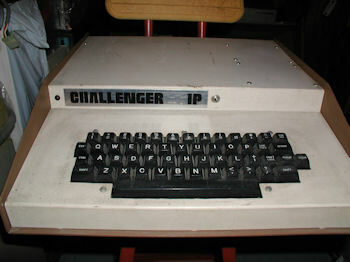 The computer is in like-new condition and operates very well. 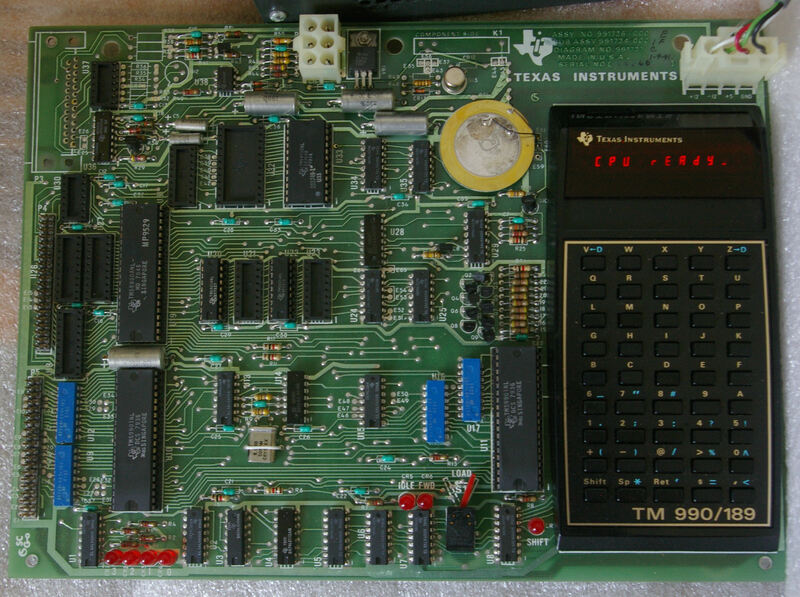 The TM990/189 looks like a TI 59 calculator stuck on a large computer board. Click image for larger version.